The applause. The stage. The lights, cameras and action. Hoodies that can hold your hair. And doorbells that warn you (and your pet) when visitors are coming. The K-12 InVenture Prize is back for the Annual InVenture Finals Competition. 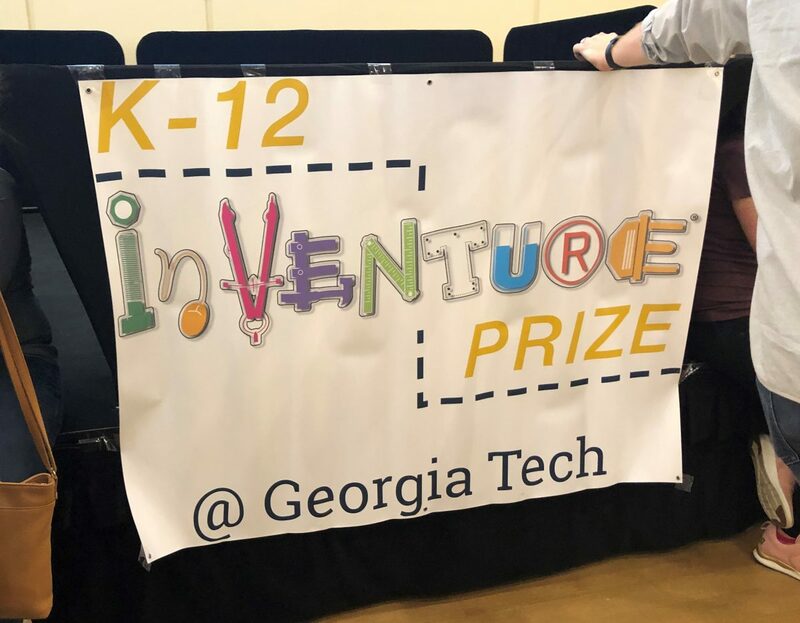 And in Georgia, that means eager students head to the Georgia Institute of Technology for the state’s final showdown in a contest of invention, wits and innovation. Headed by Director and Georgia Tech alumna Dr. Roxanne Moore, the Georgia Tech K-12 InVenture Prize is an invention competition designed to “develop the next generation of engineers and entrepreneurs by making invention education accessible to all students and teachers in Georgia.” And for this year’s State Finals, the InVenture show-floor proudly hosted the best that the Peach State’s young inventors and entrepreneurs have to offer. As an award-winning contest organized and hosted by Georgia Tech since 2012, the Prize has proven to be a celebrated clash of ingenuity for student innovators who assemble in teams, or individually, to win one of few prizes awarded to inventions deemed most creative and entrepreneurial by an assembly of helpful judges in categories such as Marketability, Social Responsibility, and Knowledge Base among other prerequisites. Today, over 2000 Georgia students participate in the inventive design program, and the Finals, held in on campus, is the culminating round for qualifying STEM students who, if awarded winner status, will advance to the National Invention Convention & Entrepreneurship Expo (NICEE) to compete against other original and artistic engineering designs countrywide. This year’s Georgia Finals event teemed with excitement even before doors officially open, and in the judge’s assembly prior to the beginning of the competition, past winners and participants gave an encouraging word to those awarded the exhilarating task of reviewing and rating the colorful array of imaginative projects. As a proud sponsor of the annual event and presenter of the InVenture Challenge CAD awards, IronCAD team members sat amongst the judge panel, listening and reveling in the well-tempered advice. STEM teacher Kathleen Lanman emphasized the importance of “innovation, if not more, than invention” within the competition of which she has been twice-awarded the K-12 InVenture Prize Top Middle School Teacher. 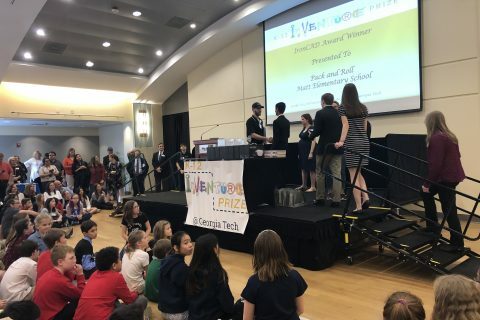 Director Roxanne Moore echoed the same sentiment pertaining to the bright students who share their inventions with the world (or as seen on March 13, 2019—at least, with the hundred or so other participating scholars, judges and educators) in the Georgia Tech Student Center. An unadorned motto that makes the team here at IronCAD even more proud to be a part of such an inspiring affair. And like Roxanne, we can’t wait to see what the next round of inventors will achieve next year. To find out more information about InVenture news, summer accelerator programs, and how to register to compete for next year’s Prize, visit https://inventurechallenge.gatech.edu/ right now.